The CE4 part of the title here refers to the CE4 Clearomiser (the tank & mouthpiece section). The CE4 is a simple, disposable clearomiser which would usually last the user around one month. They should be replaced regularly and as such, they are very low cost. CE4 Kits are a good option for anyone who isn't 100% sure about vaping. The battery and charger supplied have industry standard connections, so if you decide to move on to a different tank/mouthpiece at any point, they will remain useful. Recommended liquids for starter kits would be Hangsen Liquids or any with a higher PG content (50% PG or above). The EVOD part of the title here refers to the EVOD Tank (which is technically still a clearomiser as you can see through parts of it to view the liquid inside). The EVOD is a slightly more advanced, re-useabe clearomiser with a replaceable internal coil (the part which turns the liquid to vapour). In this case, each coil would usually last the user around one month. They should be replaced regularly and as such, coils are low cost. EVOD Kits are a good option for anyone who either has already owned a CE4 kit or is a little more certain about sticking with vaping and handling components. Again, the battery and charger supplied have industry standard connections, so if you decide to move on to a different tank/mouthpiece at any point, they will remain useful. Different coils can then be used to open up your options regards other liquids in the future. The Kanger Top Evod Kit features the updated version of the EVOD clearomiser shown in the above kits. This one is styled more like the glass sided sub ohm tanks and features a top filling system, however it is still a standard vaping kit maintaining a simplistic user experience, which is not designed for sub ohm vaping in any way! The new EVOD tank (not available seperately) is coupled with a standard 650mAh MANUAL BATTERY for a convenient and consistent vape. This kit includes a charger and your first VOCC-T coil to get you started. You can then use either VOCC-T COILS coils for liquids with a higher VG content (60% or higher) or swap to STANDARD DUAL COILS for use with liquids with a higher PG content (50% or higher). Please bear the above in mind if buying your first lot of liquids at the same time. The SUBVOD is an easy to use streamlined vape pen for sub-ohmers and non sub ohmers alike. 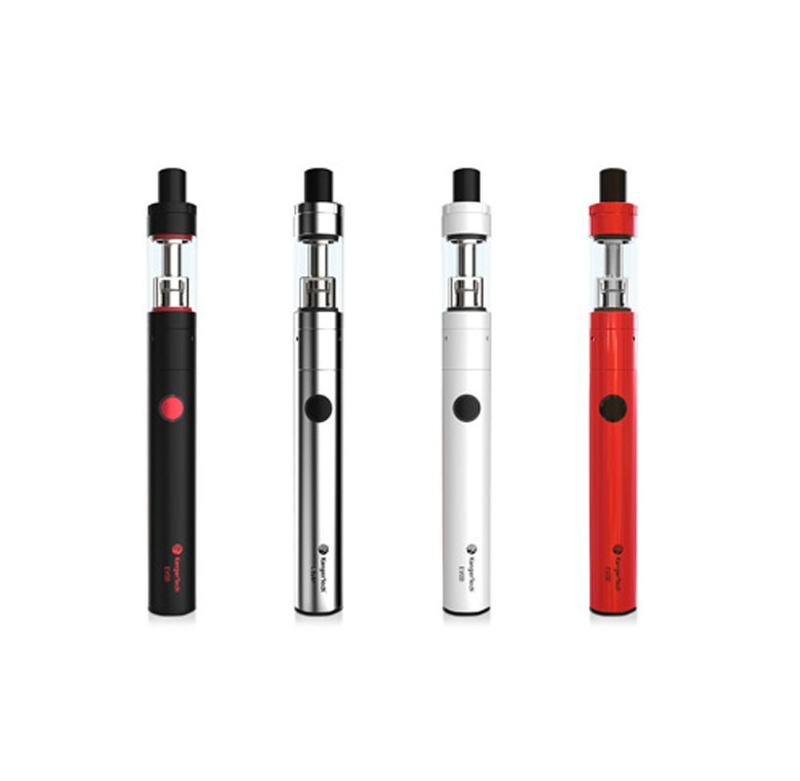 Being the newest version of this device to be introduced following the UK's Tobacco Products Directive in 2017, the redesigned 2ml capacity Nano C tank and matched battery provide a sleek and good-looking option, being not too bulky and therefore very discreet. This kit includes a charger and your first sub ohm coil to get you started. You can then use SSOCC coils in any ohmage. There are two modes to allow for sub ohm or use of coils above 1 ohm.